Secure On Site security company, has opened its training centre offering security and safety training. Centre Manager Michael Atiemo officially opened the venue in London congratulating all involved for achieving this exciting milestone. Secure On Site is an accredited supplier for security and safety training facilitating courses across compliance, conflict management, first aid, health and safety, hostile reconnaissance, physical intervention and surveillance testing. Bespoke courses are offered to groups and businesses, with IOSH Managing Safety and First Aid at Work already proving to be popular inclusions in any training package. 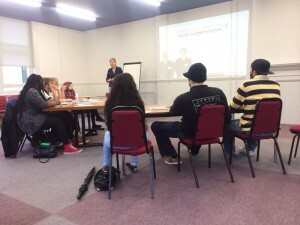 All training meets SIA and national framework requirements, and is delivered in the new training facility at 639 Centre, Tottenham or at any location across the UK. Empowering clients through facilitation and understanding ensures all participants meet security regulations and guidelines, while gaining the confidence to effectively deal with difficult and confrontational situations. The primary purpose is to ensure people and assets are protected. By implementing Secure On Site’s tools participants can feel secure in the knowledge that they are armed with the best resources available to protect their environment.